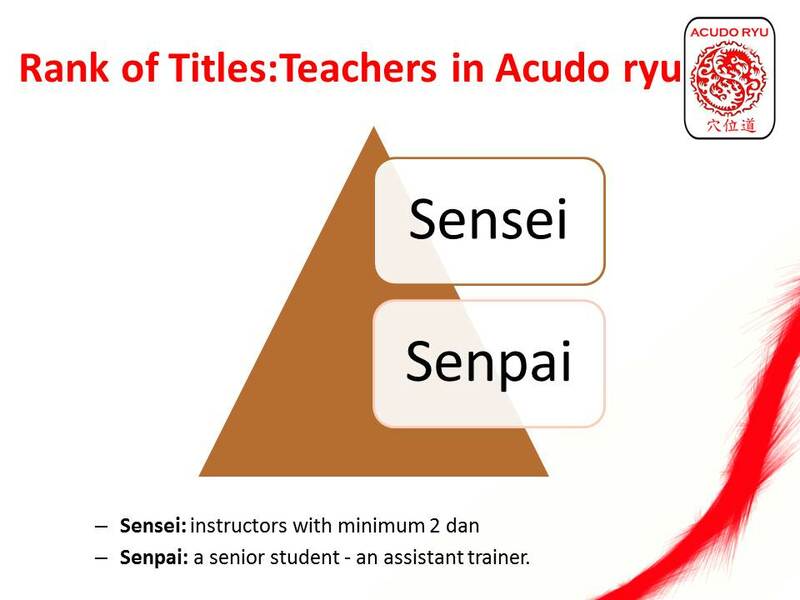 This is only titles granted by WAA and Doshu. 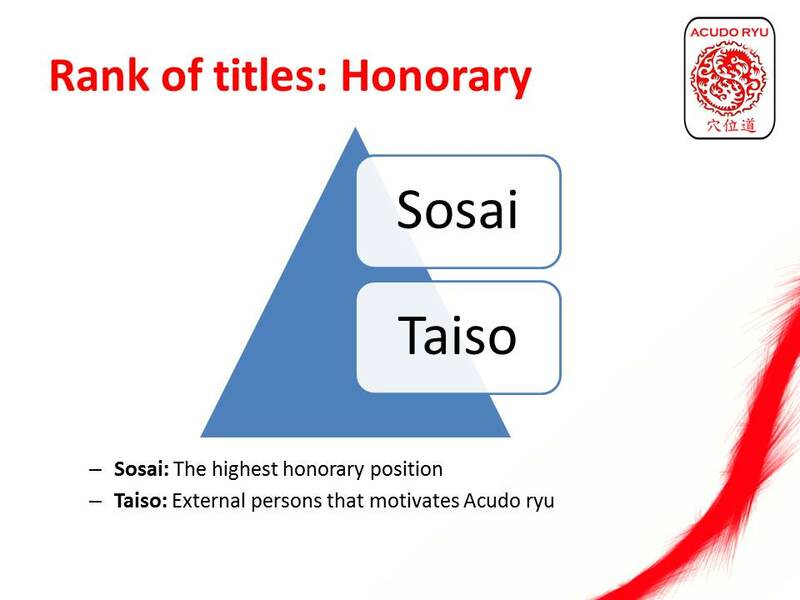 Note: When a higher title is awarded, the lower is taken back by WAA. 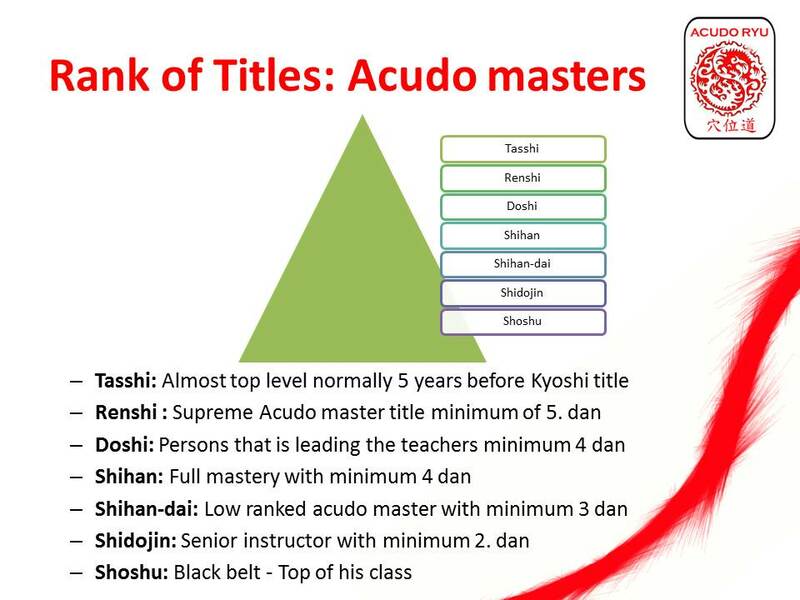 Acudo ryu is a proper martial art style with its own identity, integrity and existence as a Ryu for over 20 years. 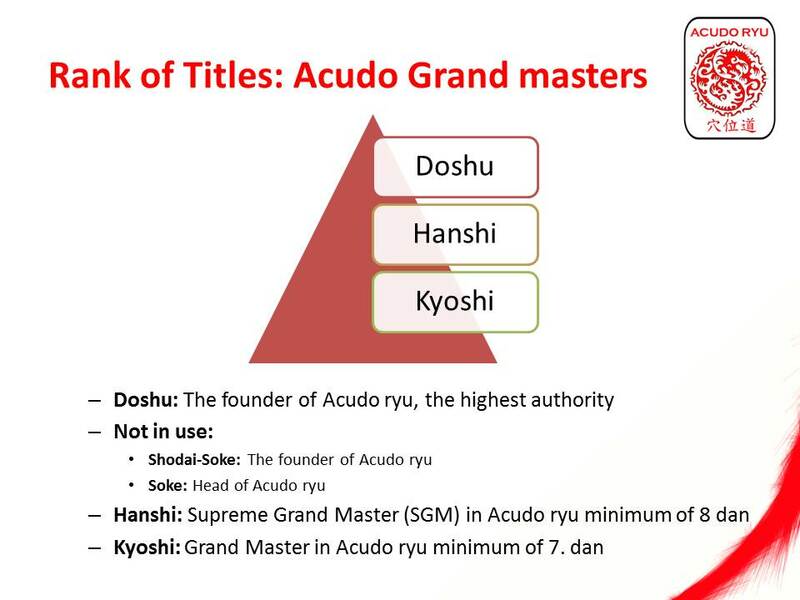 Only WAA and Doshu can legally award titles in Acudo ryu.